We are a husband and wife duo that are parents to a beautiful 8 year old girl! We both absolutely love cooking and baking! It is one of our passions. We have both been blessed with creativity and an artistic side! When we first tried Cake Pops from a coffee house, we knew they were something we could perfect. Bakerella inspired us to try the many different shapes and characters that we have and continue to try. We usually can take a picture and make it into Cake Lollies. I have fond memories of visiting my Grandma in the summers and you could either find us in the kitchen baking yummy treats or out in the garden. My grandparents on my Dad's side owned a Scottish Bakery in Oshawa for many years. 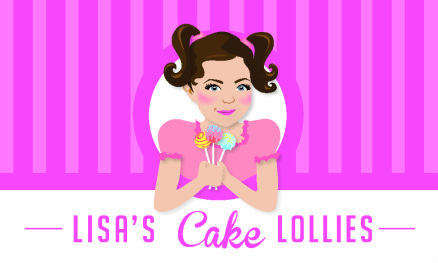 We both come from very strong Scottish backgrounds and when thinking of a name for this little business we decided to go with a Scottish sounding name so instead of calling them Cake Pops (like everyone else does) we went with the name Cake Lollies or Lollies for short. If you haven't ever tried or heard of Cake Lollies(Pops), they are fully cooked cake crumbled and mixed with icing to form balls that are then smothered in chocolate. Once you try them, you'll want them for all occasions!